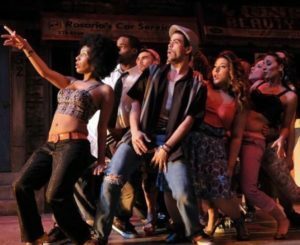 While the company is uniformly strong, a few performances stand out. 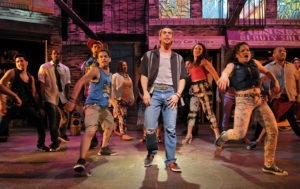 Diego Klock-Perez’s Usnavi is a vibrant charmer. 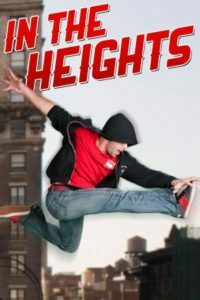 ¨Diego Klock-Perez owns the stage as Usnavi, the role originated by composer-lyricist Lin-Manuel Miranda, and is equally comfortable as the narrator and linchpin of the community. 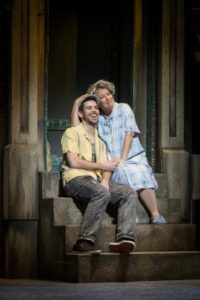 His ease among his castmates feels organic”. 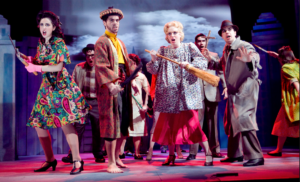 The talent of this cast is tremendous, and the corps de spirit strong. 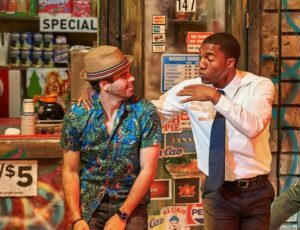 Klock-Perez makes a compelling Usnavi, giving him weight and responsibility. 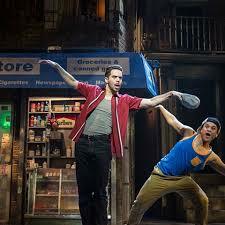 ¨As terrific as they all are, though, the musical is dominated by Klock-Perez, who also played Usnavi. 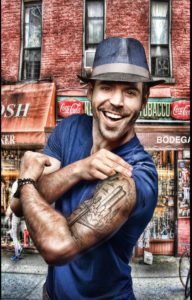 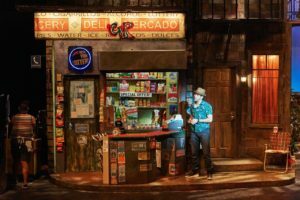 Usnavi is the prince of the barrio, played by Diego Klock-Perez in a performance as smooth as the café con leche Usnavi dispenses at his bodega. 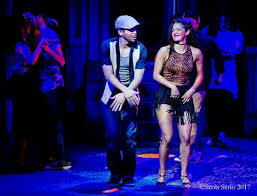 Klock-Perez, who gives Usnavi just the right mix of street pride and tenderness. 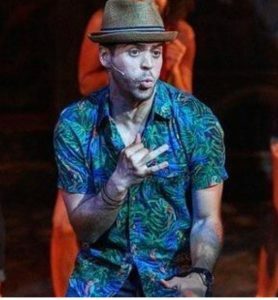 When Diego Klock-Pérez begins the opening number as Usnavi, muted gasps can be heard scattered throughout the audience, as though Lin-Manuel himself is somehow onstage. 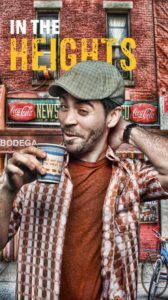 All of the main actresses are similarly gifted, though Klock-Pérez is most obviously trying to channel another actor’s interpretation. 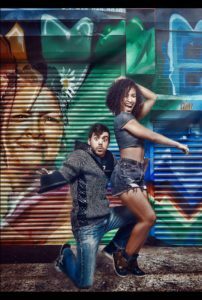 Since Klock-Pérez is both as charming as Miranda and arguably a better singer, the strategy pays off. 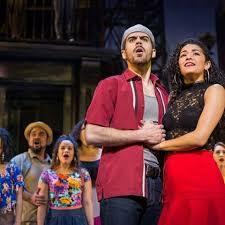 At first, Diego Klock-Perez is a credible but subdued Usnavi. 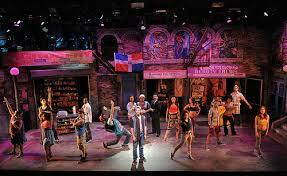 But he lets his character change in the course of the play. 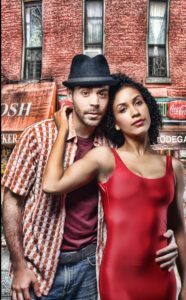 […] as Usnavi finds his voice and recognizes what he’s meant to do, Klock-Perez delivers the news with power in the sing-song poetry of rap.